2007. 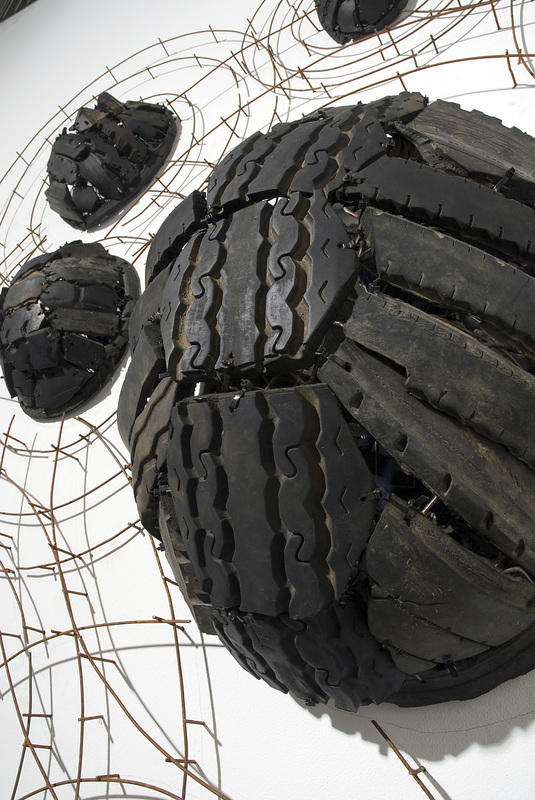 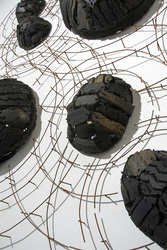 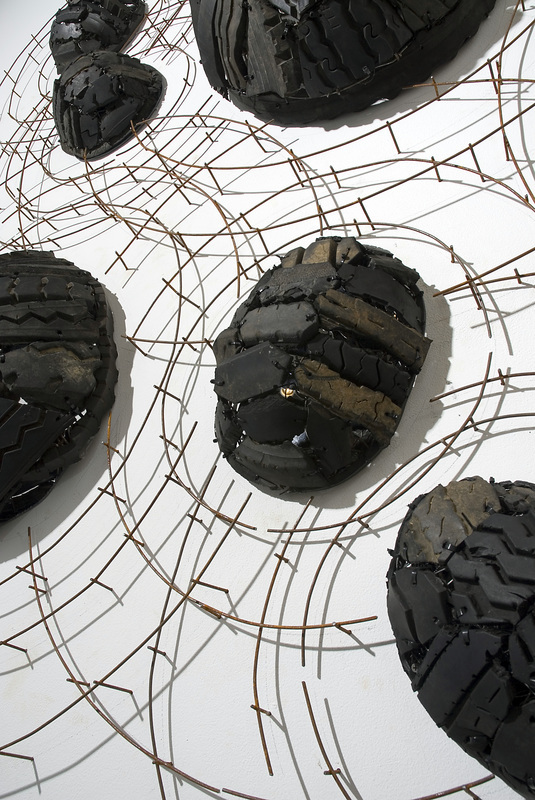 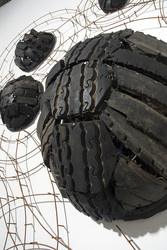 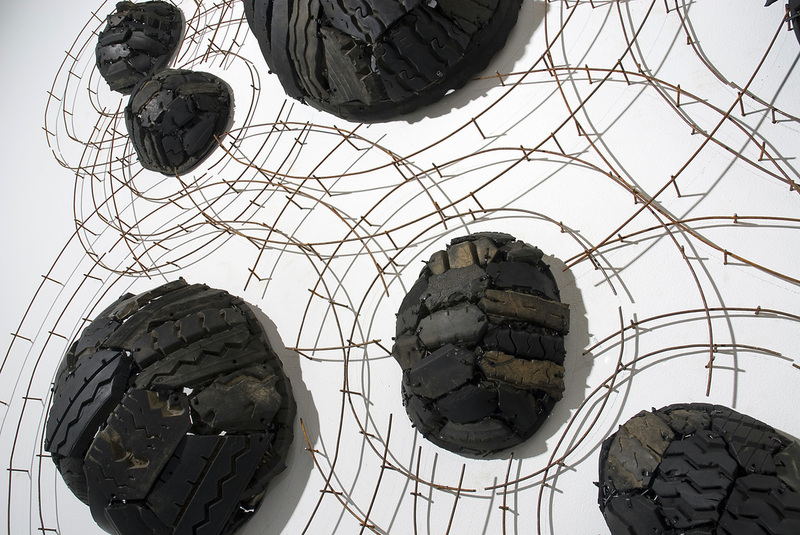 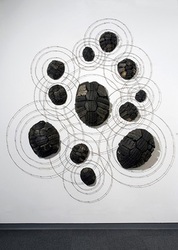 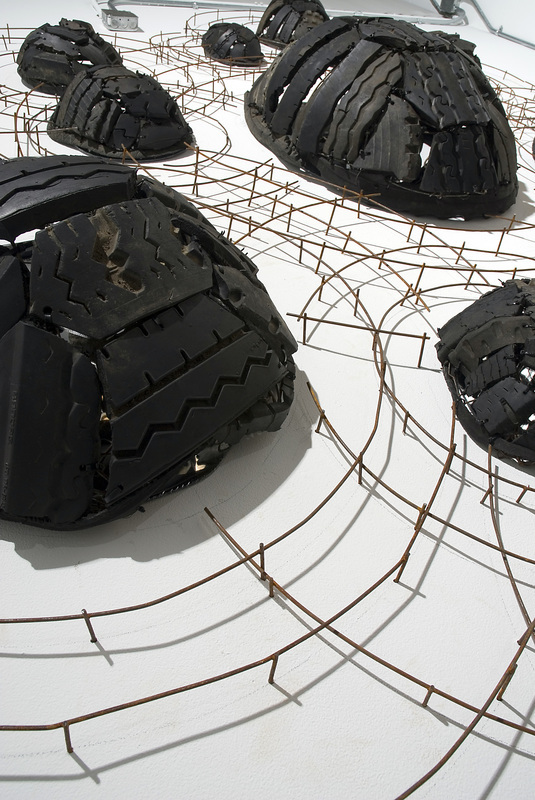 Reclaimed rubber tire, welded wire and acrylic mirror, 2007, 112"x 103"x 15". View of work at Vulcan Materials Gallery, Alabama School of Fine Arts, Birmingham, Alabama.